You may focus more on the upper than the shoe sole when shopping for a new pair of shoes. It's understandable, as people are more likely to notice how your shoes look rather than how they feel. That is, of course, unless you're an athlete or a nurse. But even then, looks are pretty important to most. All shoe soles that offer comfort and grip don't have to look like the clunky orthopedic shoes that may come to mind when you think specifically of specialized soles. Slippery shoe soles can be embarrassing and potentially painful. The good news is there are solutions to help you through the weather or dress shoes with slick soles. If you live in a snowy or icy climate, you need anti-slip soles even more than the rest of us. All of us need some form of slip-resistant shoes from time to time, though, even in warm climates. Slick floors can be quite the enemy. Look into these shoes if you live in a very cold climate where it snows frequently. If you work in an environment where it's likely that you may slip, you're probably required to wear something to protect you from falls. Work boots usually have soles with great rubber grips to hold onto the floor and keep you upright. We all know about those dreaded dress shoes that make you want to hide out instead of attend that formal event where the floors aren't carpeted and mounds of food will be carried around. You can visualize your embarrassment as your foot slides out from under you. Food everywhere, face red, onlookers trying not to laugh and instead making a big deal out of cleaning up your mess. How do you fix those slippery soles? Easy. Find a sidewalk or quiet street. Put those shoes on and shuffle your feet along, scratching up the bottoms. It sounds ridiculous, but it should do the trick! You may not have given much thought to your soles if you're not living up north where snow's abundant for half of the year. However, if you're getting into dancing or bowling any time soon, you're suddenly going to find shoe soles very important. Dance shoes often have leather or suede soles to allow you to shake your bootie on the dance floor, no matter which style you prefer. Bowling shoes have especially interesting soles. One is a sliding sole, and the other is a braking sole. Which hand you bowl with determines what shoe has which capability. You can also get both with sliding soles if you're new to the game. Chicken soup for your feet, shoe soles can make everything feel better in athletics. They may be filled with gel, air, foam or another "newest technology" to make sure your feet are comfortable and your joints are protected. Waffle and stud designs help on softer surfaces like grass, while ripple shapes are most effective on harder surfaces like asphalt and cement. Insole: The inside of the sole, just as the name suggests. This is the part where the bottom of your foot rests. 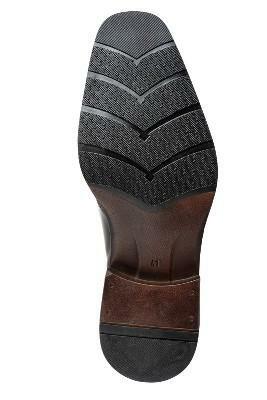 Outsole: Opposite of the insole, this is the part that comes in contact with the ground when you walk, dance or run. Midsole: The part between the insole and outsole. This is where designers play with design, often, to create more comfortable and shock-absorbent shoes.